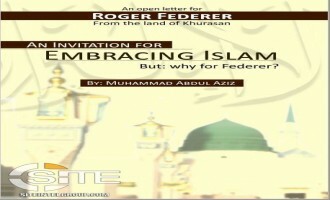 Pro- al-Qaeda (AQ) Telegram channels distributed a letter from an alleged individual in the Afghanistan-Pakistan region to professional tennis player Roger Federer inviting him to Islam. The 14-page English letter, entitled, "An Open Letter for Roger Federer From the Land of Khurasan: An Invitation for Embracing Islam," was initially posted on a Telegram channel with that same name on June 26, 2018. The real losers are not who lose tournaments or the top ranks; but the real losers are those who say, as our Holy Book "Al-Qur'ān" mentioned: "Our Lord! Give us (Your bounties) in this world! 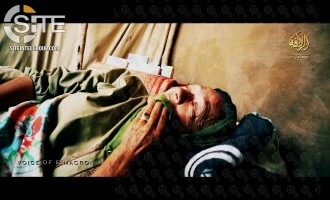 And there is no portion for them in the Hereafter''. 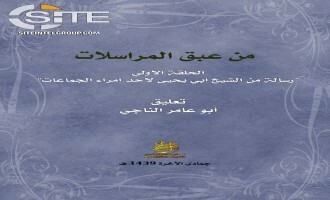 The real losers "are those who will lose themselves and their families on the Day of Resurrection. Verily, that will be a manifest loss!" You can imagine yourself with hundreds of millions Muslim supporters! Who will pray and invocate Allāh for your triumph and success all your life. And they will love you sincerely because you will become their brother, and our Messenger (Muhammad Peace upon him) said: "None of you will have faith till he likes for his (Muslim) brother what he likes for himself". 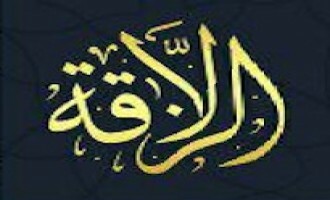 And even after your death; Muslims will ask Allāh his mercy for you as soon as they hear your name. 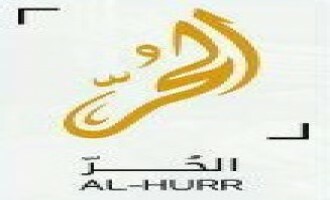 The al-Qaeda (AQ)-aligned Hurras al-Deen urged fighters to defend Daraa against the Syrian army offensive and called on Muslims to provide support with money and propaganda. The al-Qaeda (AQ)-aligned Ansar Ghazwat-ul-Hind (AGH) called on Muslims in India and the Jammu and Kashmir Valley to contribute to the promotion of jihad and defense of fighters. 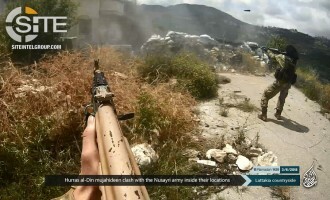 The al-Qaeda (AQ)-aligned Hurras al-Deen claimed storming Syrian army positions in Lattakia and provided photos of the operation. 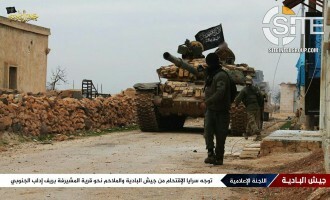 Hay’at Tahrir al-Sham (HTS) condemned its terror designation by the U.S. State Department and demanded evidence of the link to al-Qaeda (AQ) cited in the amended order. 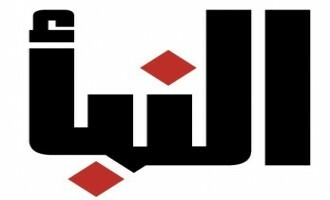 Sham al-Ribat Foundation, a recently established Syria-focused media center, reported a raid by Hurras al-Deen fighters on Syrian regime and Shi'ite militia positions in northern Hama. Nusrat al-Islam wal Muslimeen (NIM), al-Qaeda's (AQ) branch in Mali, claimed an artillery and rocket strike on French and MINUSMA positions inside Timbuktu Airbase. The Shabaab al-Mujahideen Movement, al-Qaeda's (AQ) branch in Somalia, released a series of video featuring lectures from past AQ leaders. Al-Qaeda Central (AQC) condemned the incident on April 2, 2018, in which nearly 200 civilians were reportedly killed and wounded in an airstrike in Kunduz, Afghanistan, and urged jihadists to galvanize the emotions of Muslims towards action. 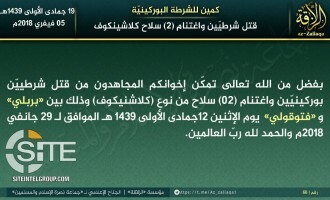 Nusrat al-Islam wal Muslimeen (NIM), al-Qaeda's (AQ) branch in Mali, claimed credit for the April 14, 2018, suicide raid on French and MINUSMA positions in Timbuktu. 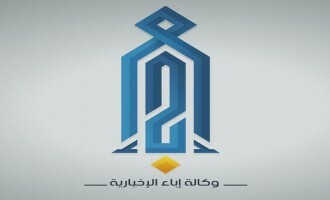 The Syria-focused division of the pro- al-Qaeda (AQ) Khayr Ummah Foundation produced a video promoting the role of foreign fighters in the country and questioning Syrian Muslims who reject them. 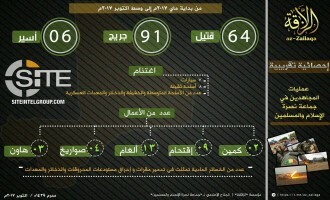 Similar to a video he provided on French casualties in Mali, a prominent al-Qaeda (AQ) supporter published one focusing on MINUSMA losses within the same timeframe. 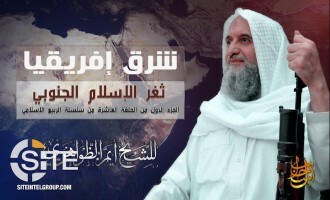 After as-Sahab Media released a lecture from al-Qaeda (AQ) leader Ayman al-Zawahiri on East Africa and its historical place as the "southern battlefront of Islam," a pro-AQ Telegram channel urged Muslims in the region to participate in jihad. 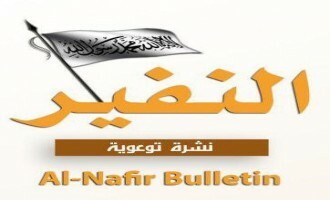 Al-Qaeda (AQ) addressed disputing militant factions in northern Syria in the 25th issue of its al-Nafeer bulletin, urging them to reconcile and not allow their strife to benefit the Bashar al-Assad regime. 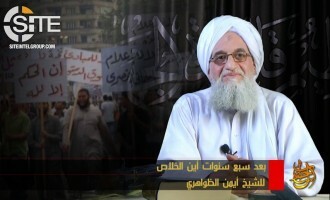 Al-Qaeda (AQ) leader Ayman al-Zawahiri presented a historical lecture on East Africa as it relates to European conquests and Muslims' loss of sovereignty, and drew conclusions about the cause, among which is corruption and internal conflict. The Kashmir-based al-Qaeda (AQ)-aligned Ansar Ghazwat-ul-Hind (AGH) mourned three fighters who were killed in a recent clash in Srinagar in the second issue of its Nasr Bulletin. 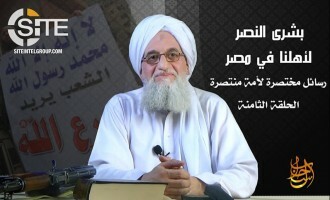 Al-Qaeda's (AQ) as-Sahab Media Foundation published a booklet containing leadership advice from a former religious official as the first part in a series of past letters from its command. 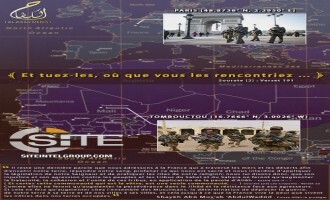 Nusrat al-Islam wal Muslimeen (NIM), the Mali-based al-Qaeda (AQ) branch, claimed two bombings on Malian army vehicles in Mopti and introduced a new communique design to thwart bogus messages in its name. 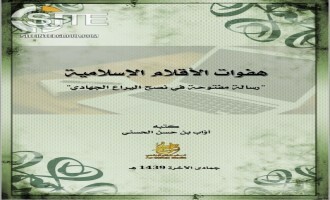 An al-Qaeda (AQ) figure urged Muslims to maintain their religious morals and values on social media, and prohibited their "Islamic pens" from distorting the faith. 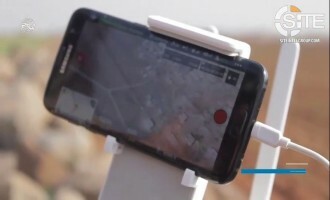 Noting that some tribesmen tracked its fighters after they stormed a Malian army base in Soumpi, Timbuktu, the al-Qaeda (AQ)-affiliated Nusrat al-Islam wal Muslimeen (NIM) warned them about delivering location information to the enemy. The Mali-based branch of al-Qaeda (AQ), Nusrat al-Islam wal Muslimeen (NIM), released a photo of the suicide bomber involved in the raid on the French embassy and Burkinabe national army headquarters in Ouagadougou, the capital of Burkina Faso. 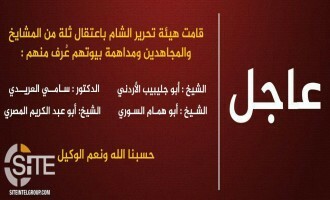 The Mali-based branch of al-Qaeda (AQ), Nusrat al-Islam wal Muslimeen (NIM), released a video "S.O.S." 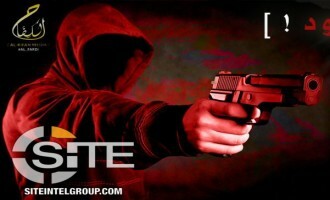 for an elderly French hostage in medical duress. 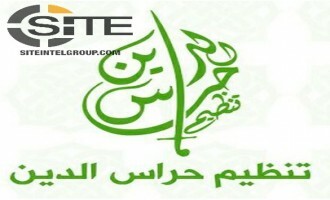 Pro-al-Qaeda (AQ) groups in Syria disseminated a newly emerged group’s call to protect besieged Muslims in the rebel-held area of Eastern Ghouta. 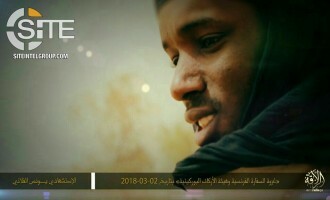 A pro- al-Qaeda (AQ) Telegram channel provided an English summary for a Somali interview with one of the two Shabaab al-Mujahideen Movement suicide bombers prior to his carry out his attack at the Presidential Palace in Mogadishu on February 23, 2018. Zakir Musa, the head of the al-Qaeda (AQ)- aligned Kashmir-based Ansar Ghazwa-ul-Hind, called on fighters and "every able youth" to participate in jihad against India and, in particular, strike army patrols, companies associated with the Indian government, and foreign companies seeking investment opportunities in India. 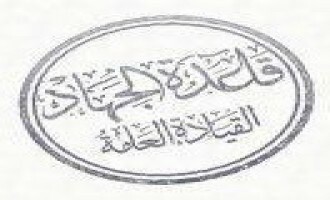 Al-Qaeda (AQ) cited the massacre of Muslims in the eastern Ghouta of the Syrian capital, Damascus, as a rallying cry for Syria-based fighters to unite and settle their conflicts. Al-Qaeda (AQ) called on jihadi scholars to guide Muslims through the discord they experience, particularly those on the battlefield, and urged Muslims in turn to respect the scholars and their findings. 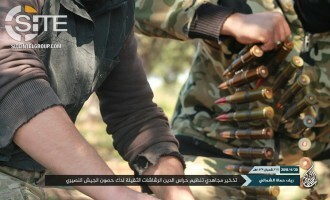 Two Syria-based al-Qaeda (AQ)-aligned groups, Jaysh al-Badia and Jaysh al-Malahem, each published photo reports on the training of their respective fighters. 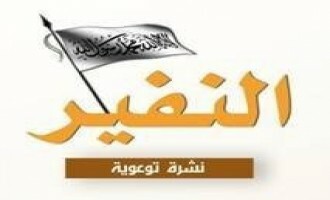 An al-Qaeda (AQ)-aligned Syria-based faction calling itself "Jaysh al-Sahel" announced its split from Hay'at Tahrir al-Sham (HTS). 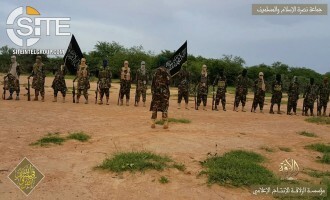 Within its photograph series "March Forth in the Cause of Allah," the Mali-based branch of al-Qaeda (AQ), Nusrat al-Islam wal Muslimeen, showed fighters formation on foot and on motorcycles. 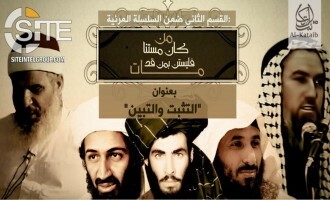 Al-Qaeda (AQ) urged fighters to continue striking U.S. economic interests in order to bring about the collapse of America. Nusrat al-Islam wal Muslimeen (NIM), the Mali-based branch of al-Qaeda (AQ), claimed a rocket strike on MINUSMA barracks in Tessalit. Al-Qaeda (AQ) explored the process through which it believes America targets enemies, analyzing various fields in which it operates including the economic, military, political, religious, and social fields, and skewing it towards Islam and Saudi Arabia. 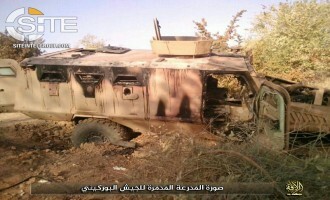 Nusrat al-Islam wal Muslimeen (NIM), al-Qaeda's (AQ) Mali-based branch, claimed bombing a Malian military vehicle in Gao region and also ambushing a police patrol in neighboring Burkina Faso. Al-Qaeda’s (AQ) Mali branch, Nusrat al-Islam wal Muslimeen (NIM), published photographs of its fighters in the battlefield. 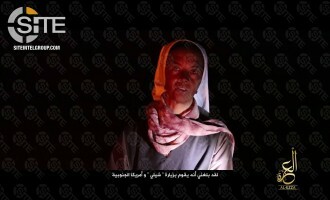 Nusrat al-Islam wal Muslimeen (NIM), al-Qaeda’s (AQ) Mali branch, released a proof-of-life video of Colombian missionary Gloria Cecilia Narváez Argoty, wherein she appeals to Pope Francis to intercede on her behalf. 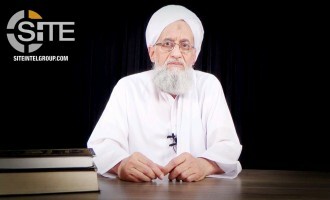 Al-Qaeda (AQ) leader Ayman al-Zawahiri questioned the outcome of the Arab Spring on the seventh anniversary of the uprisings in the Middle East and North Africa, arguing as he did in years past that they failed due to not orienting towards Shariah-based governance and adopting violence. 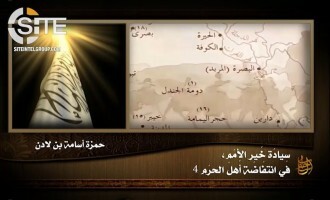 The al-Qaeda (AQ)-aligned Jaysh al-Malahem released a video on its fighters' participation in the "liberation" of Mushayrifa and Tal Khaznah in Syria's Idlib governorate. The al-Qaeda (AQ)-aligned Jaysh al-Badia and al-Malahem released a joint video of their "liberating" the town of Mushayrifa in southern Idlib from Syrian regime forces. 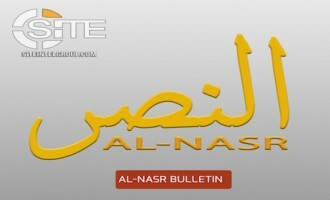 Al-Qaeda (AQ) dedicated the 20th issue of its al-Nafeer bulletin to fighters in Syria, repeating its call to them to shun differences as a necessary step towards victory. 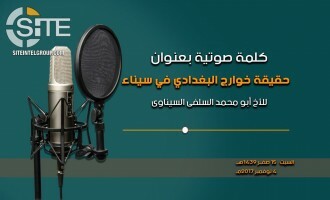 Jaysh al-Badia, a Syria-based al-Qaeda (AQ)-aligned group, released a training camp video featuring speaking segments from fighters promoting jihad as a necessity. 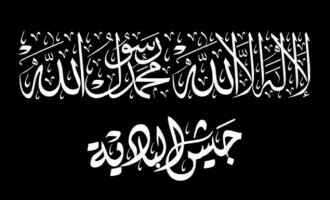 Al-Qaeda Central (AQC) reiterated its call to fighters in Syria to unite in the face of their common enemies, namely the Bashar al-Assad regime, Iran, "Crusaders," and the Islamic State (IS). 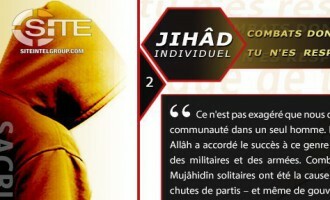 The Mali-based al-Qaeda (AQ) branch, Nusrat al-Islam wal Muslimeen (NIM), cautioned its supporters about following any channel in its name that is not authorized to speak on its behalf. Nusrat al-Islam wal Muslimeen (NIM), the Mali-based branch of al-Qaeda’s (AQ), claimed its second attack on a Malian convoy in Mopti, destroying a military vehicle, and attacking Burkinabe gendarmerie near Burkina Faso’s border with Mali, killing two. 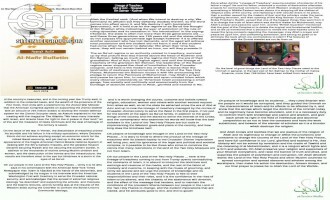 Dovetailing a prior bulletin urging Muslims to unite despite their ideological differences, al-Qaeda (AQ) promoted faith-based brotherhood regardless of an individual’s opinion and perspective in “discretionary matters”. Al-Qaeda (AQ) insiders distributed a letter attributed to AQ official Hamza bin Laden announcing the death of his eldest son, 12-year-old Usama. 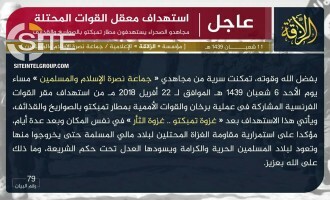 The Mali-based al-Qaeda (AQ) branch, Nusrat al-Islam wal Muslimeen (NIM), claiming bombing a Malian military convoy in Mopti Region, and cited "some sources" to give an estimate of eight killed and wounded. 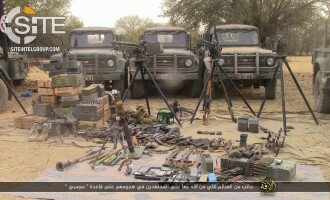 The Mali-based branch of al-Qaeda (AQ), Nusrat al-Islam wal Muslimeen (NIM), claimed an attack on the G5 Sahel Force in the country in addition to other strikes on Malian and MINUSMA soldiers, and also took credit for two operations in Soum province of neighboring Burkina Faso. 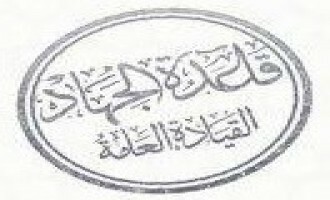 Using hashtags for Qaedat al-Jihad (AQ) and al-Qaeda in the Land of Sham (Syria), a jihadi faction calling itself "Jaysh al-Badia" (Army of the Desert) has promoted its fighters and called on Muslims to take revenge for U.S. President Donald Trump recognizing Jerusalem as Israel's capital. 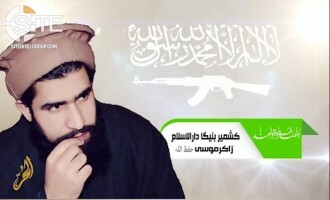 Al-Qaeda's (AQ) as-Sahab Media Foundation released a biography of a Saudi fighter who was killed while participating in an Afghan Taliban-claimed suicide raid. The Mali-based al-Qaeda (AQ) branch, Nusrat al-Islam wal Muslimeen (NIM), urged Muslims support fighters and participate in jihad themselves, especially in Syria, in response to U.S. President Donald Trump recognizing Jerusalem as Israel's capital. Al-Qaeda Central (AQC) called on Muslims to strike the "vital" interests of America and its allies after U.S. President Donald Trump recognized Jerusalem as Israel's capital. Jihadi sources shared a statement by a number of officials of various sectors of Hay’at Tahrir al-Sham (HTS) condemning the recent arrests of the AQ affiliates and demanding their immediate release. The security official for the Syria-based Hay'at Tahrir al-Sham (HTS) clarified the circumstances of the arrests of Abu Julaybib al-Urduni and Sami al-'Aridi, disputing that both men were betrayed. Jihadi sources in Syria reported that Hay'at Tahrir al-Sham (HTS) arrested clerics formerly affiliated with the group and who defected and maintained their ties to al-Qaeda (AQ), including Sami al-'Aridi and Abu Julaybib al-Urduni. 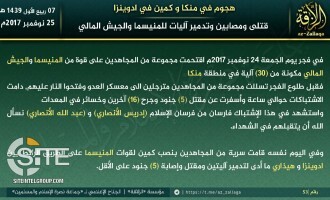 The Mali-based branch of al-Qaeda (AQ), Nusrat al-Islam wal Muslimeen (NIM), claimed credit for the attack on a joint unit of MINUSMA and Malian forces in In Délimane, near Ménaka, and reported the killing of five soldiers and announced the "martyrdom" of two fighters. 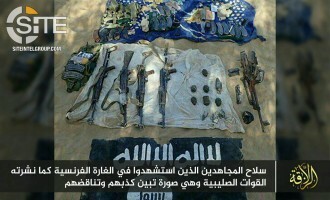 Nusrat al-Islam wal Muslimeen (NIM), the Mali-based branch of al-Qaeda (AQ), claimed two attacks in neighboring Burkina Faso, one of which targeted the newly established G5 Sahel Force, and two in its homebase. 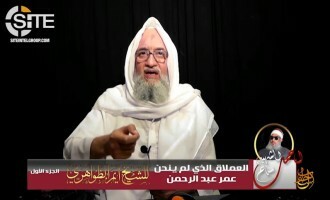 Al-Qaeda (AQ) leader Ayman al-Zawahiri demanded that Muslims take revenge against the U.S. for the death in prison of the “Blind Sheikh” Omar Abdul Rahman, and reiterated his call to fighters in general and those in Syria in particular to unite against the enemy alliance. 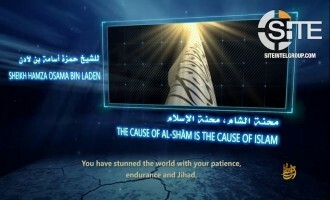 A prominent pro-Islamic State (IS) jihadist challenged the prediction that al-Qaeda official Hamza bin Laden, a son of Usama, will unite the global jihad movement, arguing that he is not currently fit to do so. 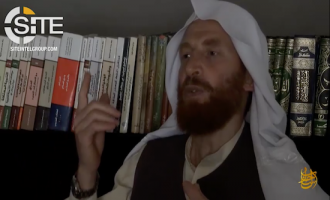 A prominent pro- al-Qaeda jihadist shared an audio speech in which an individual named "Abu Muhammad al-Salafi al-Saynawi" condemns the Islamic State's (IS) Sinai Province and charges it with criminal acts. 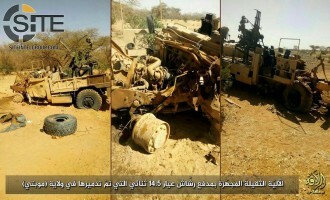 Al-Qaeda’s (AQ) branch in Mali, Nusrat al-Islam wal Muslimeen (NIM), claimed four attacks on Malian soldiers and gendarmes and MINUSMA forces in the country’s Mopti, Ségou, and Timbuktu regions, and published photos of destroyed vehicles. 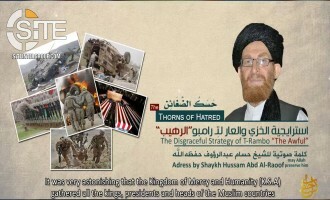 Hamza bin Laden Holds Father, Usama, as Example for Muslims, Incites for Revolutions and Revenge Against U.S.
Al-Qaeda's (AQ) as-Sahab Media Foundation released an audio speech from Hamza bin Laden, a son of Usama, holding his father as an example for Muslims to follow in jihad, and inciting for revolutions in the Muslim world, in addition to revenge against the U.S. for the killing of the elder bin Laden. 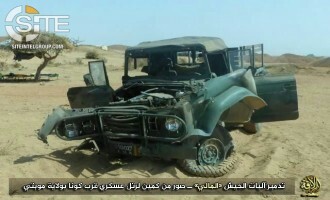 Nusrat al-Islam wal Muslimeen (NIM), al-Qaeda's (AQ) branch in Mali, claimed credit for the attack on the convoy of the president of the High Court of Justice, killing five Malian soldiers. 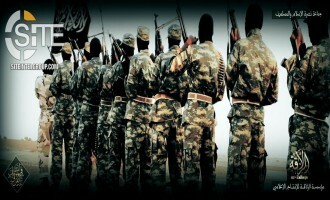 Nusrat al-Islam wal Muslimeen (NIM), the Mali-based branch of al-Qaeda (AQ), challenged the French denial of killing 11 Malian soldiers who were being held by the group in a raid in Abeïbara. 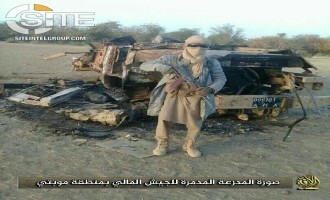 Nusrat al-Islam wal Muslimeen (NIM), al-Qaeda's (AQ) branch in Mali, claimed bombing a MINUSMA vehicle in the country's Kidal region, and repulsing Malian soldiers and blowing up their vehicle in Mopti. 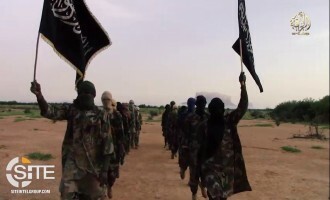 Nusrat al-Islam wal Muslimeen (NIM), the Mali-based branch of al-Qaeda (AQ), claimed that a French airstrike in Abeïbara killed 11 Malian soldiers who were being held by the group, in addition to a number of fighters. Nusrat al-Islam wal Muslimeen (NIM), the Mali-based branch of al-Qaeda (AQ), published an infographic on its operations from May through mid-October 2017, and claimed credit for ambushing Malian gendarmes in Koulikoro. 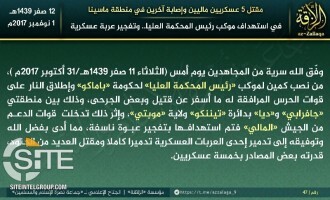 Al-Qaeda's (AQ) branch in Mali, Nusrat al-Islam wal Muslimeen (NIM), claimed killing at least four Malian soldiers in a rocket strike on their gathering in Mopti. Al-Qaeda’s (AQ) branch in Mali, Nusrat al-Islam wal Muslimeen (NIM), released a video on men confessing to spying for the Mauritanian intelligence, and threatening France and its allies with a "heavy price" to be paid for espionage. 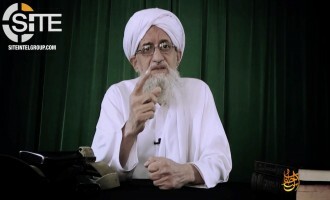 Al-Qaeda Leader Zawahiri Urges Muslims Consolidate Ranks, Mobilize Efforts Against U.S. and "Client Regimes"
Al-Qaeda (AQ) leader Ayman al-Zawahiri urged Muslims to consolidate their ranks and mobilize efforts together against the United States and its "client" regime in a speech for the 16th anniversary of the 9/11 attacks. Al-Qaeda (AQ) mourned former Muslim Brotherhood leader Mohammed Mahdi Akef, who died in prison on September 22, 2017, in its “al-Nafeer” bulletin, and used the opportunity to call on Muslims to unite despite their ideological differences. 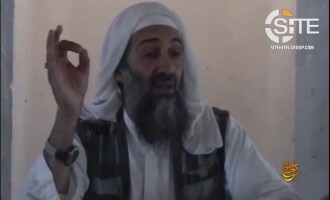 Hamza bin Laden, a son of former al-Qaeda (AQ) leader Usama bin Laden, urged Muslims to participate in jihad in Syria through physical or financial means, and help stop what he described as “international Crusader-Rafidhi aggression”. The media unit of the Kashmir-based jihadi group “Ansar Ghazwat-ul-Hind” praised the 9/11 hijackers on the 16th anniversary of the attacks, and lauded them as examples for Muslims to follow. 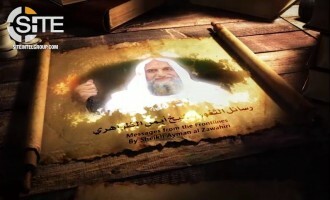 Al-Qaeda’s (AQ) as-Sahab Media Foundation released the video will of 9/11 hijacker Muhannad al-Shehri (AKA Abu Umar al-Azdi) on the 16th anniversary of the attacks in New York and Washington DC.